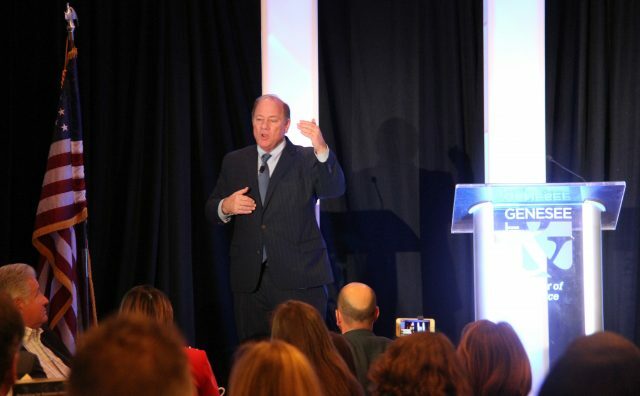 Detroit Mayor Mike Duggan, the keynote speaker, reinforced the theme of partnerships as he spoke the critical roles of leadership and strategy in taking a major city from crisis to recovery to growth. We’re live at the Flint & Genesee Chamber’s Annual Meeting with our keynote speaker, Detroit’s Mayor Mike Duggan! Flint and Genesee County continued to experience reinvention and development in 2018, the result of a sturdy foundation of strategic partnerships serving the community, the Flint & Genesee Chamber of Commerce reported today at its annual meeting at the Holiday Inn Flint-Grand Blanc Area. This year’s gathering – themed ‘Partnering for Economic Vitality: Developing Business, Talent and Place’ – underscored how partnerships, business support and advocacy all contributed to the region’s advancement last year. The Chamber also recapped the successes of the first year of its three-year strategic plan. Working with investors to build a strong business climate that helps our members prosper collectively and individually. Delivering workplace readiness training programs to support employers’ needs for job candidates well-versed in soft skills, such as communication, teamwork, conflict resolution and the ability to problem-solve. Collaborating with community partners to support events that showcased Flint & Genesee to influencer groups inside and outside of Michigan, including tourism professionals, venture capitalists, statewide chamber professionals, environmental journalists, and professional golfers and golf enthusiasts. Shields vs. Hammer: It’s Gonna Be A Knockout! 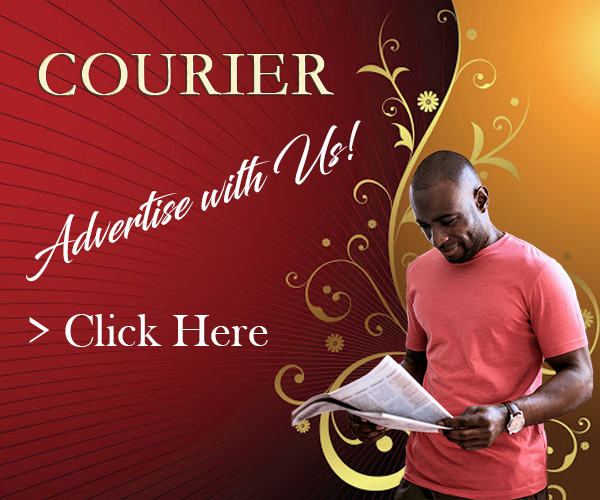 The inspirations and ideas for the Courier newspaper grew out of the need to provide a voice for the ecumenical community. 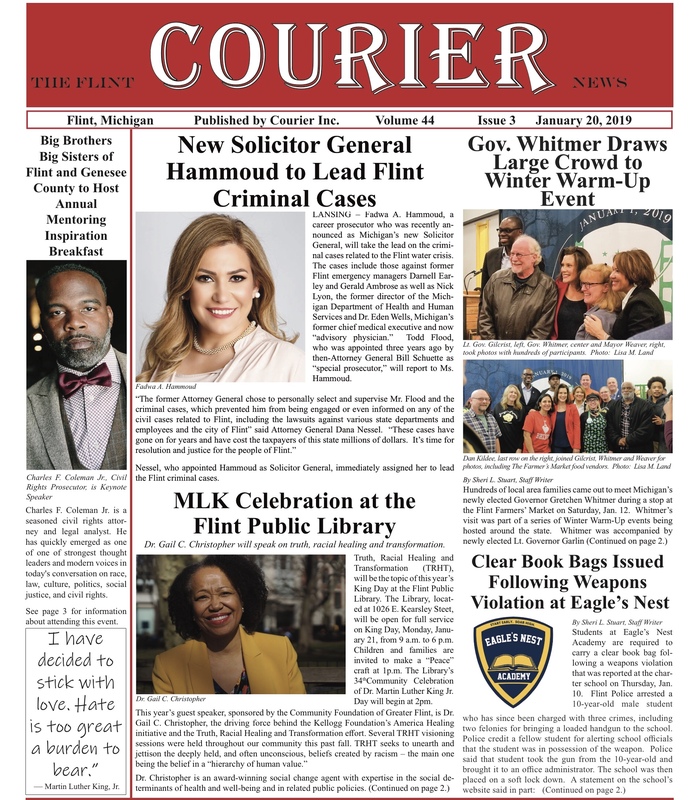 The Courier is respected as one of the oldest and most prestigious newspaper in this region, serving this community for over 40 years.